Costume Specialists -- the world's ONLY custom mascot character production company to manufacture BOTH foam and inflatable AWARD winning original costumes. We are ready to make YOUR CHARACTER a STAR! Our custom corporate mascots, walkabouts, and costume characters are performing world wide for hundreds of companies, attracting attention and building revenue in a fun and memorable way. We Build Character! From restaurants, to banks, to conventions, to story time at the library, characters from Costume Specialists are seen and loved everywhere. That's because our customers know they can count on us. You know our custom mascot characters as the familiar icons and friends that you have seen everywhere; including television networks, films, sports events, amusements parks, sales meetings, trade shows, food chains, financial institutions, book signings, product manufacturers, schools, fairs, safety education programs, and more. Our award-winning custom designed mascots are the forerunners in quality and design. Innovation, attention to detail, superior craftsmanship, and pure passion drive the creation of the mascots we design for you. From corporations to book characters, our mascots are known world wide. The most notable and iconic mascots have come from our studios onto the global stage. Bringing your imagined character to life is our speciality. When your mascot or costume is in need of cleaning or repair, we offer the first class service your mascot deserves. Does your mascot have a busy schedule and in need of a personal assistant to schedule appearances at events or travel arrangements? 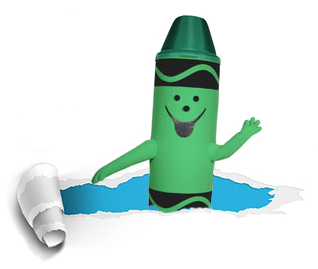 We are the pioneers of the mascot industry offering those services which can only be found here. Make your next event a memorable success with a mascot. Mascots draw crowds and are perfect for any venue. We have professional mascot rentals, character appearance programs, and promotional mascots available. Our mascots have appeared on the red carpet, at trade shows, parades, corporate outings, festivals, professional sporting events, schools, universities, and more. They are ready for your event. Our staff is available weekdays from 9am-5pm EST to help you with your individual mascot and costume needs. Find out how Costume Specialists can help you or your business with your specific custom mascot, costume design, or any number of mascot and costume services available. Contact us ... We look forward to hearing from you. Howdy Partners, these folks sure know how to rustle up a herd of mascots. No matter the difficulty or how far the trip, they always come through. Yeehaw, they are awesome! They had ribbons, they had tags, they had packages, boxes and bags. These folks are great and so much more, it had me marching with pride as never before! Fore great service that is better than par, then contact the good folks at Costume Specialists. They are the masters and know how to bring home the trophy for superior quality!